The new BenQ W5000 home theater projector starts shipping this month. 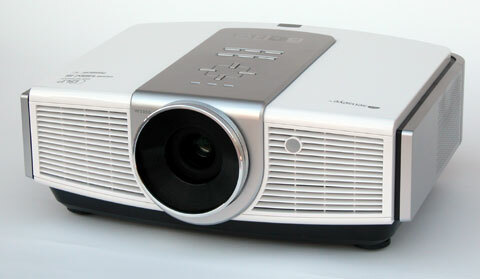 This 1080p resolution, single-chip DLP projector, delivers an extremely sharp, high contrast image. 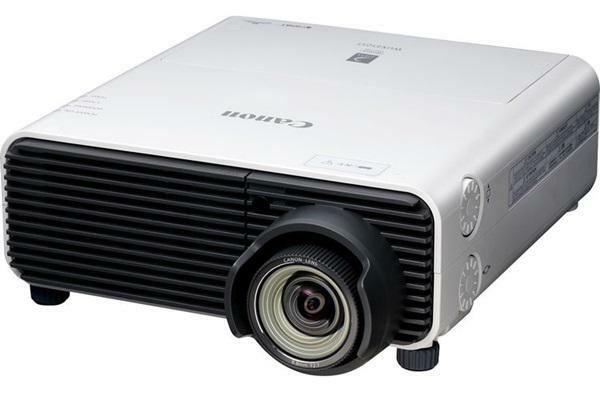 It is priced at $4,995, which is somewhat higher than a number of competitive 1080p projectors on the market at this time. However, it comes through with a dazzling picture that justifies the price. Excellent contrast and black level. Don't let the 10,000:1 contrast rating fool you. That is a relatively low number in today's competitive market where contrast specifications range from 15,000:1 up to 50,000:1. But in any given scene, the real contrast you experience on the W5000 is in many instances higher than that of competing models with much higher contrast ratings. Extremely sharp image. The W5000 is more razor sharp than any 1080p product we've seen yet. This is particularly apparent in close-up facial images, where every imperfection in the skin is resolved in extraordinary detail. The projector's sharpness may be attributed in part to exceptionally high optical precision in the lens. Three-dimensional image. The high native contrast and exceptional sharpness combine to produce a visual depth, or apparent three-dimensionality, that is well above average as compared to other 1080p models on the market today. Bright in Brilliant Color mode. There are two options for Brilliant Color, on or off, and the setting you choose has a large impact on light output. When it is on, the ANSI lumen output in Cinema mode ranges from 350 lumens to 600 lumens depending upon where you set the manual iris. Thus it is brighter than average when compared to other home theater projectors. However, turning Brilliant Color off reduces average lumen output by about about 32% in the highlights and 50% in mid-tones. The advantage of turning Brilliant Color off is that it makes digital noise levels much less apparent in scenes that are particularly susceptible to noise. This is a key trade-off, and the user will make a decision to run with Brilliant Color either on or off depending on screen size and gain, ambient light, and the viewer's sensitivity to noise artifacts.